Get beautifully natural brows with beauty blogging queen, the gorgeous Hello October. 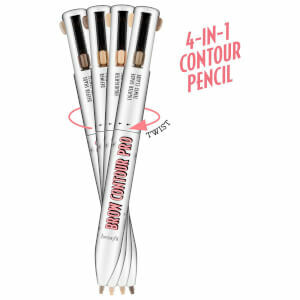 Using Precisely My Brow Pencil to fill, 24hr Brow Setter to set, Boi-ing Airbrush Concealer to conceal and High Brow to lift. Watch the tutorial and shop the look below. 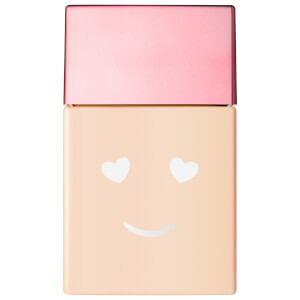 Marvelously quirky and miraculously professional, Benefit looks to bring out the fun side of make-up application. With a new approach to beauty, Benefit started in 1976 when a set of twins, working as models and make-up artists, found a fun loving and free spirited way to look at beauty. With over 30 years' experience behind them, the 'fake it 'til they make it' duo have built an empire on the ethic that make-up is something fun to create with. 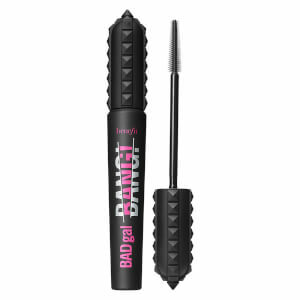 With iconic products like BADgal transforming the chore of mascara application into an effortless and surprisingly enjoyable experience every time. With an Eye collection to be coveted, you'll be able to create flawless and vibrant looks with every pot of the Benefit Cream Eye shadow. Foundations that truly allow for full coverage and flawless matching ability, Benefit Cheeks that add a natural flush of colour to your face, allowing you to contour and shape your face the way your desire. Looking after your skin with the Benefit b.right range, solving your skincare problems effortlessly with expertly designed formulas for either everyday use or for a rich skin treatment. Bringing about solutions for oily, dry, stressed and aging skin, the b.right range all work to illuminate and add light to your complexion. The Benefit fragrance and body range use delicate scents to suit every type of woman. With quirky bottle designs these perfumes make great all year round gifts for the girl about town. With perfected tools of trade spanning over 30 years of experience you'll experience nothing but professional results every time you use one. From tweezers to make-up brushes, to be rounded off with a beautiful benefit make-up bag, your make-up tools set will ensure for flawless coverage every time. Giving the gift of a beautiful complexion has been made even easier with the Benefit Gifts and Packs collection, bringing together best-selling products in smart and quirky designed packs that look ready to receive. From lip-glosses and eye shadows to mascaras and complexion packs there's a gift to suit every make-up lover.